GB won their opening group match at the 2017 Emerging Nations Championship in Bulgaria, beating Malta 24-18. GB had chances early on but a string of good saves by Maltese goalkeeper Daniel Tanti saw GB trail 3-1 after five minutes. However, GB's open defence started to cause Malta problems and a 5-1 exchange saw GB take a lead they would never surrender. Both sides were guilty of technical errors and goals were hard to come by, but at half time GB had opened a 12-8 lead. GB started the second half briskly, scoring two quick goals to take a commanding 14-8 lead. 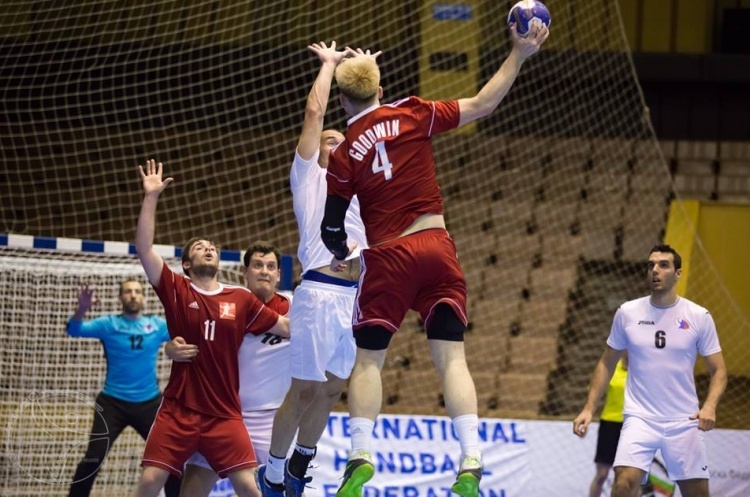 However, Malta reduced the deficit to 13-15 as GB made a string of technical errors. A team time out by Head Coach Ricardo Vasconcelos settled nerves and GB stormed back into a 20-13 lead with 10 minutes remaining, going on to win 24-18. Two players making their GB debuts stood out. Brian Lindsay was GB’s top scorer with 10 goals, while in goal Owen Insou made 14 saves. Defence was the order of the day, with nine goals coming from fast breaks.